Stress makes you shoot blanks, predisposes you to mental health problems, and, it’s been known for awhile, is related to heart attacks. Now, we know why. A study published in Nature Medicine has found that stress pushes the immune system into overdrive, inflaming critical arteries near the heart. If those arteries already have lots of plaque, risk is increased. Damaged arteries that become inflamed can produce lesions, which are then repaired with a huge influx of platelets and clotting proteins. 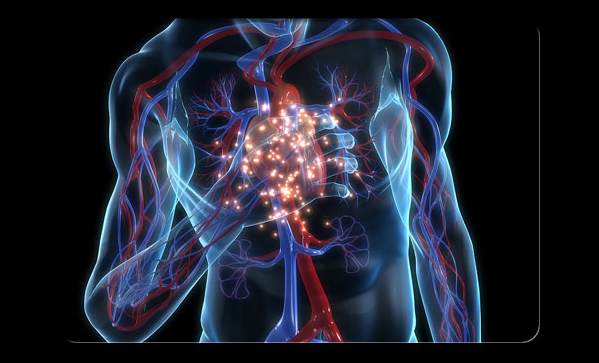 A clot can form in a matter of seconds, and a heart attack is one step away. The good news is that you can reduce your stress. Additional good news: you can quit smoking, start exercising, and start eating right, and those arteries will start improving.